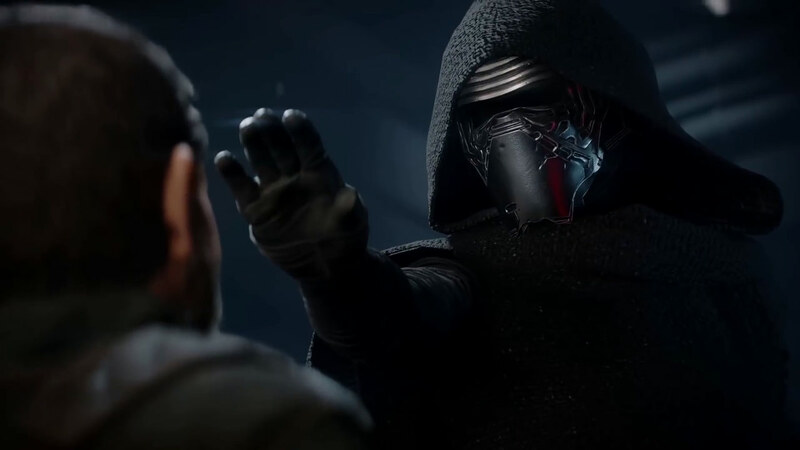 Check out some of the game's hidden secrets -- including many that tie into Star Wars: The Last Jedi. 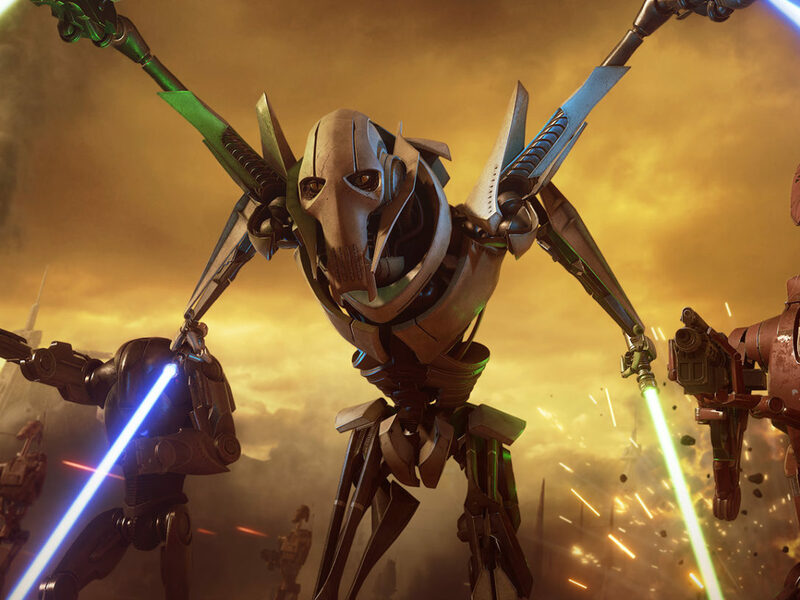 Sure, Star Wars Battlefront II has a powerful story and introduces major new characters like Iden Versio, Del Meeko, and, of course, Shriv. 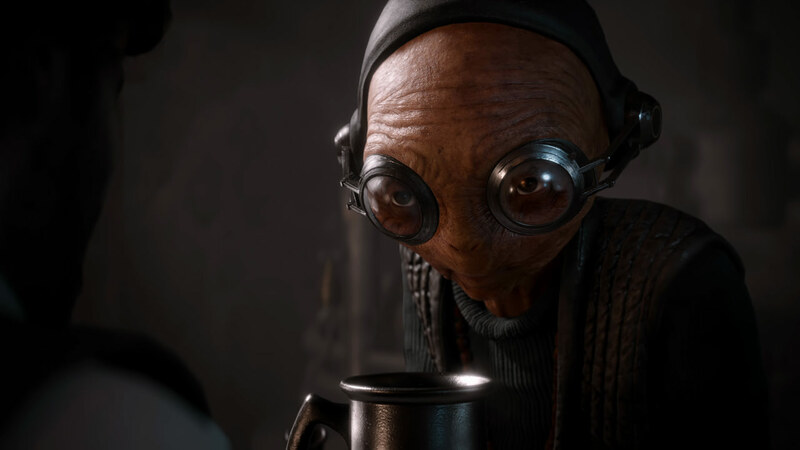 But it’s also filled with Easter eggs that connect it to the larger saga, referencing Star Wars films, books, comics, and more. Here are 11 of our favorites, sure to delight fans lucky enough to spot — and/or hear! — them. While navigating through the maintenance shafts as ID-10 in the prologue, keep an open ear. After sneaking around for a bit you’ll be able to overhear a few soldiers discussing the upcoming assault of the second Death Star. Alongside Admiral Ackbar and General Lando Calrissian, we hear mention of the Corona Squadron. First appearing in the novel Lost Stars, Corona Squadron was the unit responsible for discovering the construction of the second Death Star and is the unit to which Thane Kyrell is a member. 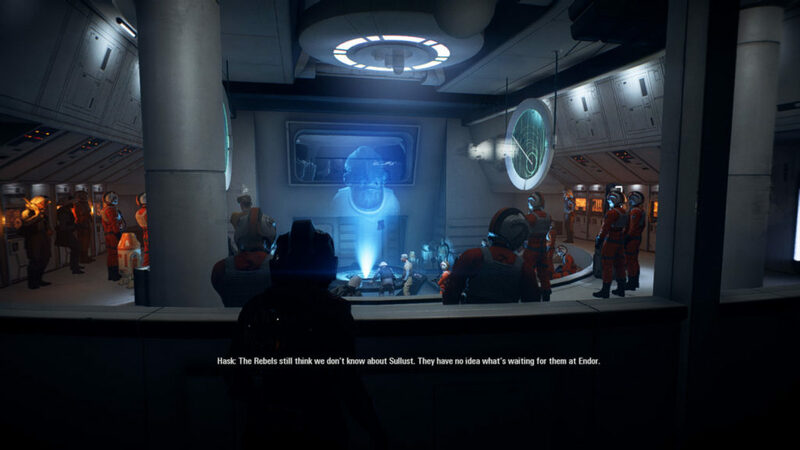 As Iden Versio escapes from her rebel captors, she comes across an Alliance briefing room. Surrounded by dozens of crew members is a holoprojection of Admiral Ackbar. Casually listen in on the secure transmission to decipher information about Operation Yellow Moon. If the name sounds familiar, it should — Yellow Moon was first mentioned in Moving Target: A Princess Leia Adventure. Don’t worry about being caught by listening in…it’s not a trap. 3. The Sentinel of Operation Cinder. The only thing more off-putting than Emperor Palpatine might be a droid that looks just like him. Originally seen in the Shattered Empire comics, the Sentinel droid is a posthumous messenger of the Emperor, only to be dispatched in the case of his Empire’s potential demise. 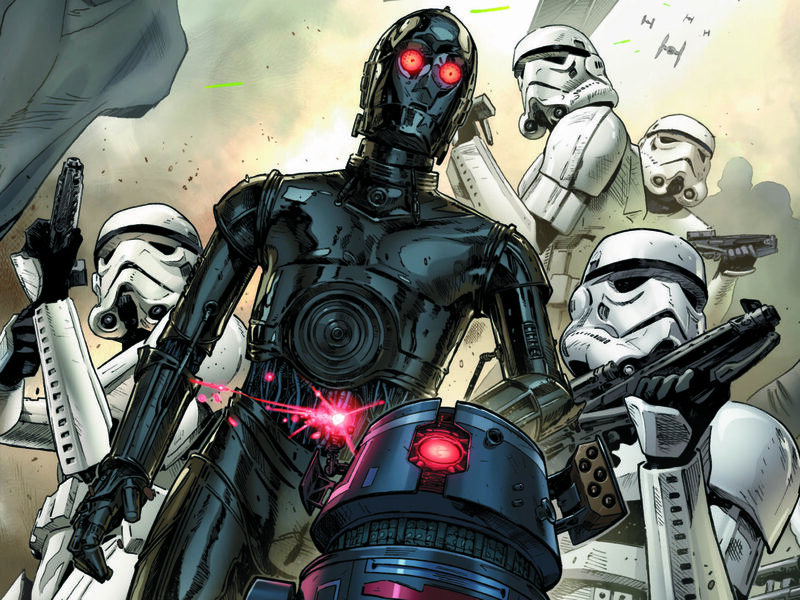 Unique to Battlefront II is the levitation of the Sentinel droid — in Shattered Empire we only see them walk. 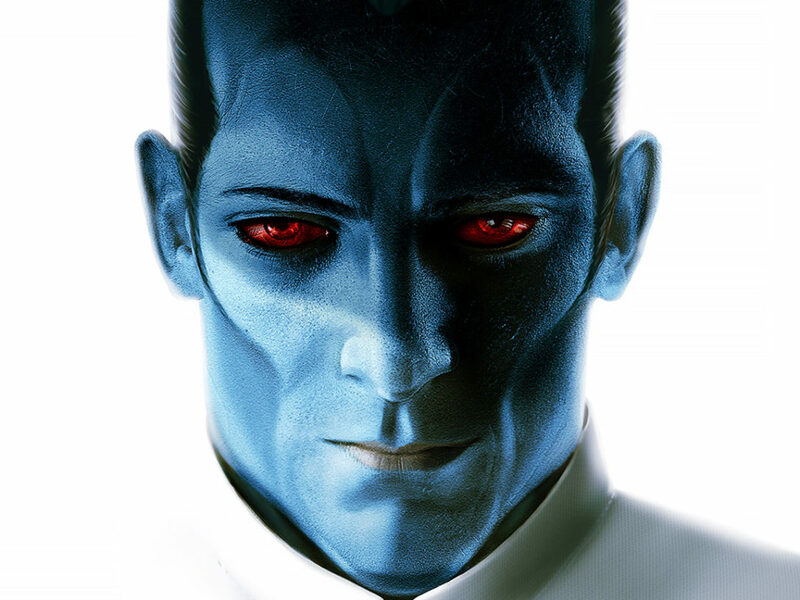 Interesting to note as well is the hostile reaction the Sentinel has toward Iden. 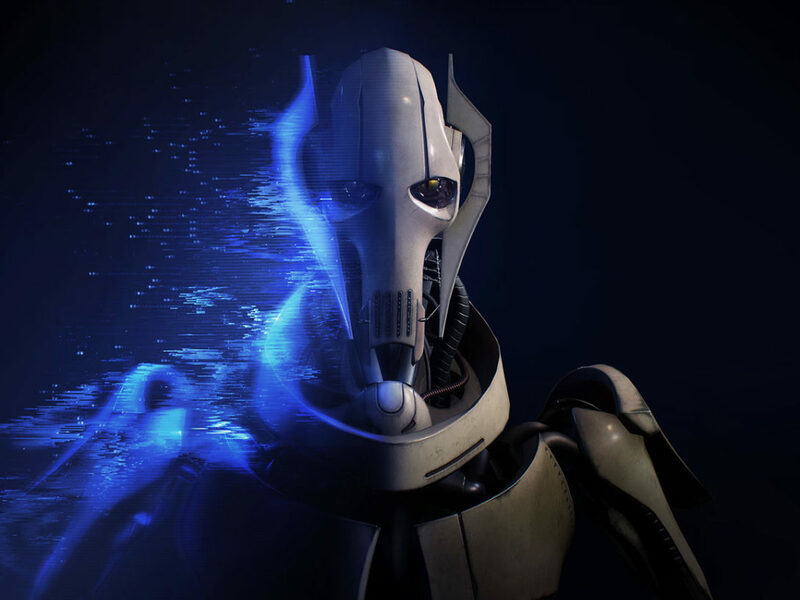 Garrick Versio was verified by way of a blood sample, and while Iden shares his blood, it was not enough to satisfy the Emperor’s phantom. 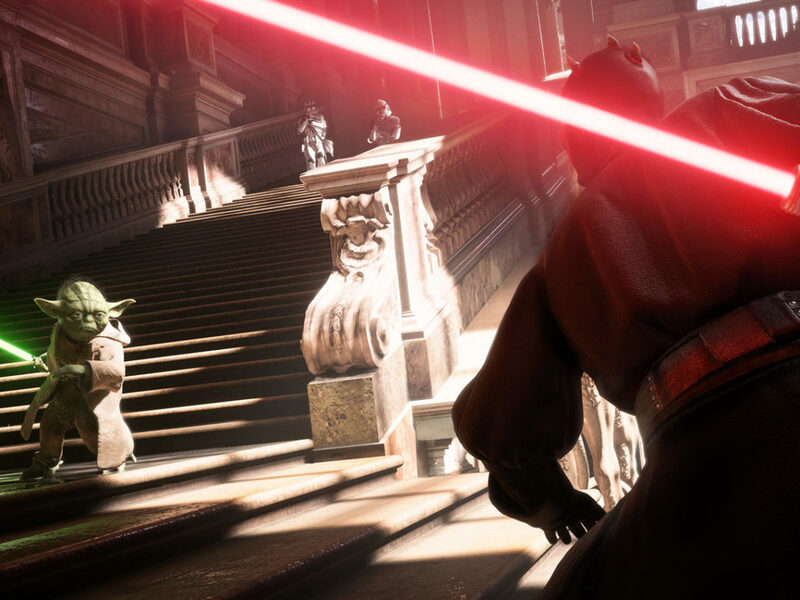 With the help of Del Meeko, Luke Skywalker enters Palpatine’s vault on Pillio. 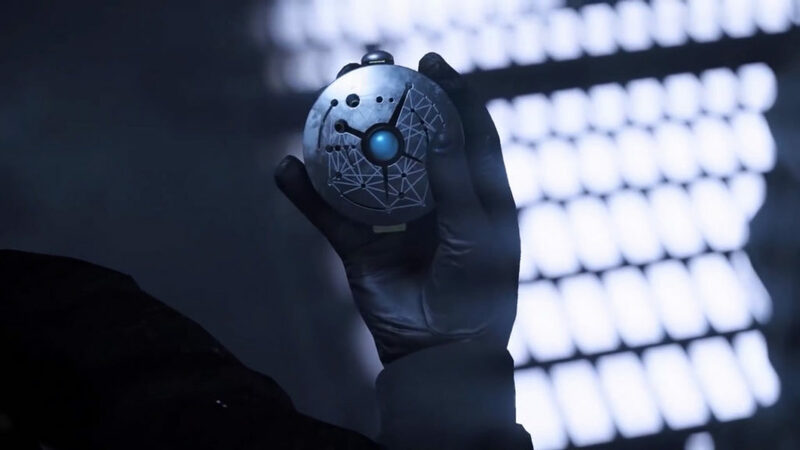 In a room filled with countless treasures, Skywalker is only interested in one — the Star Compass. In The Last Jedi, the Star Compass can be spotted in Luke’s hut on Ahch-To. Expanded upon in DK’s Star Wars: Visual Dictionary, it has been suggested that the Star Compass may have been what led Luke Skywalker to Ahch-To. The fifth mission of the story is entitled “Outcasts.” It’s very aptly named, given Iden and Del’s newfound position in the Rebel Alliance. To stop Operation Cinder’s assault on Naboo, Iden Versio and her X-wing join a squadron of Alliance fighters. 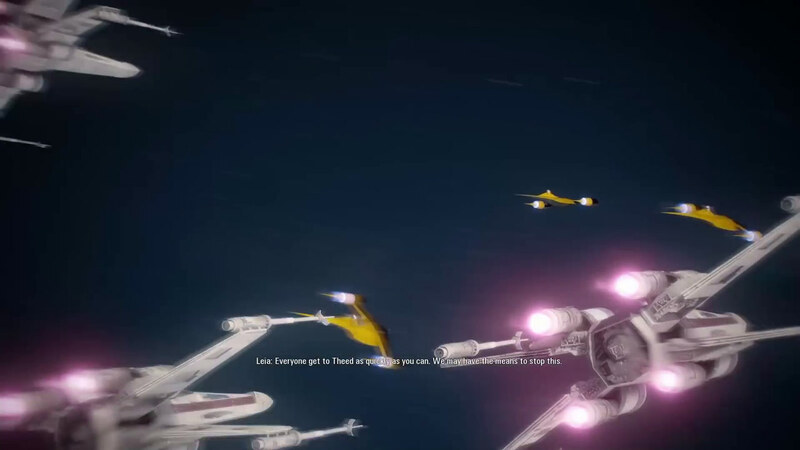 You can easily see three bright-yellow N-1 starfighters among the X-wings. This attack and those fighters will look familiar if you’ve read Shattered Empire. The N-1 starfighters are piloted by Leia Organa, Queen Soruna of Naboo, and Shara Bey, the mother of Poe Dameron. As Han Solo makes his way through Maz’s castle, he bumps into Rody. An old acquaintance, the two reminisce about their time working a job connected to the Czerka Corporation. Made famous in the Knights of the Old Republic video-game series, the Czerka Corporation was a weapons and arms manufacturer the player would encounter on nearly every world. It says a lot about my love for Knights of the Old Republic that this Easter egg is my favorite of the game. 7. How about a drink? 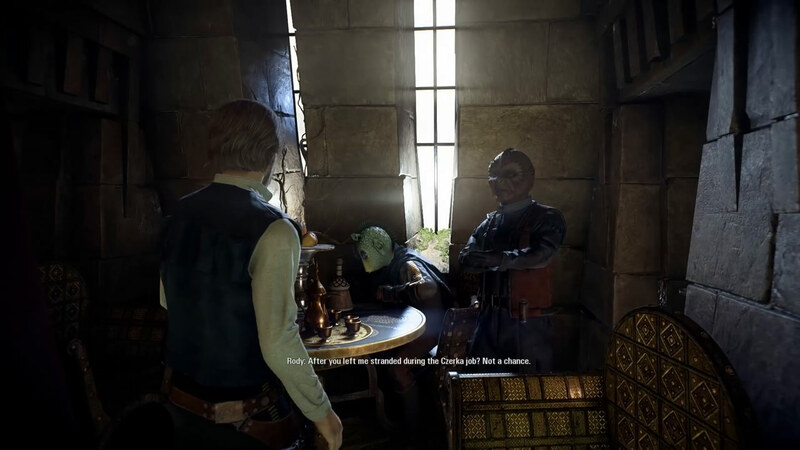 A cantina needs drinks, and Maz’s castle is in no short supply. Progressing through the castle will trigger conversations between patrons and bartenders where you will hear about a wide variety of drinks. Three of these drinks are standouts. The first is “Port in a Storm,” a wine with an intimidating reputation introduced in the Claudia Gray’s novel, Bloodline. The second is a “Huttslayer Splash.” The is the first mention of this drink, but it is very clearly named for Leia Organa following her slaying of the intergalactic crime slug, Jabba the Hutt. The third and final drink was the most surprising to me. When Han is about to speak to the Imperial defector Palodra, you hear him mention the “Merenzane Gold.” The Merenzane Gold was a hard liquor traditionally consumed by Devaronians. The reason why this drink might sound familiar is because it was featured in the classic Tales from the Mos Eisley Cantina novel. Paldora also made sure to mention that it is indeed pricey, which can be expected given the second word of the drink’s name. 8. Comms in the Battle of Jakku. 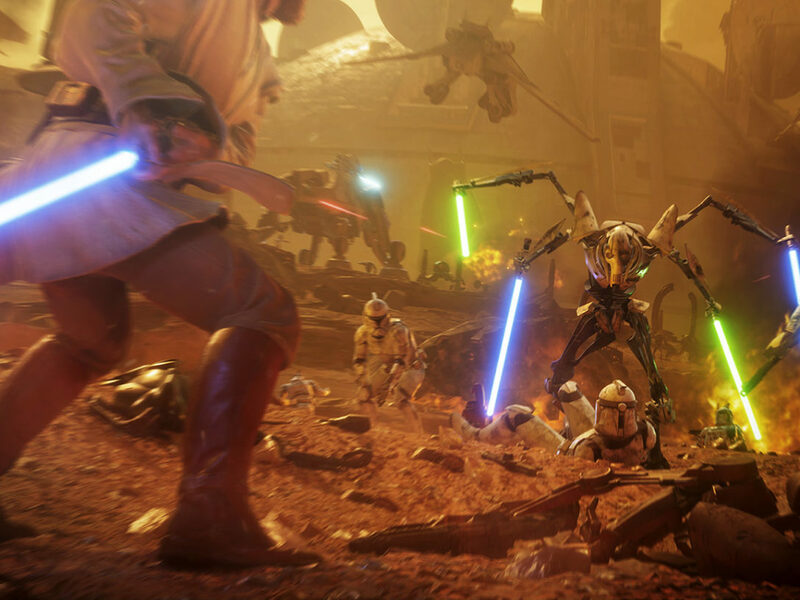 The Battle of Jakku sequence in Star Wars Battlefront II is a dream for fans of the new novels. 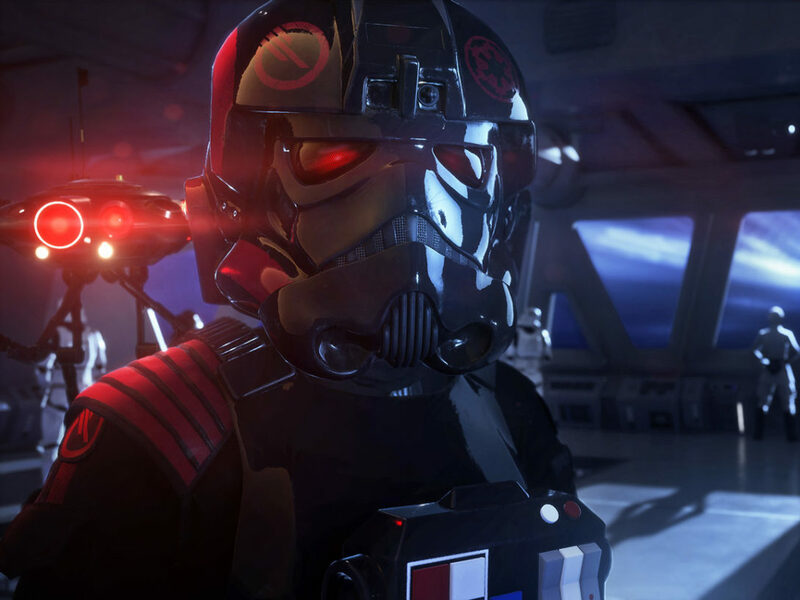 The comms chatter going off as Iden Versio flies through the warzone is ripe with references and nods to characters and events across the Star Wars universe. 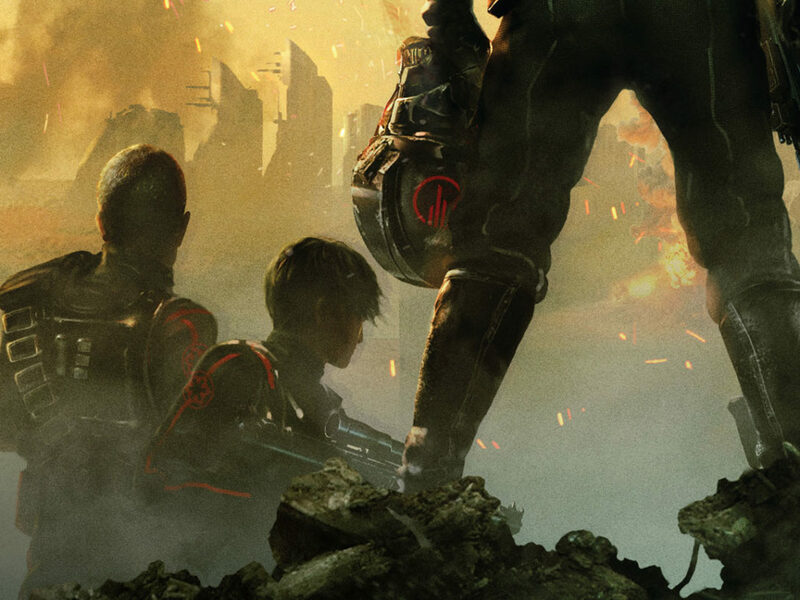 The Battle of Jakku wasn’t just Iden Versio’s mission of finding closure with her father. It involved thousands of stories, each unique to the individuals involved. Thane Kyrell, Ciena Ree, Snap Wexley, Wedge Antilles, the list goes on. 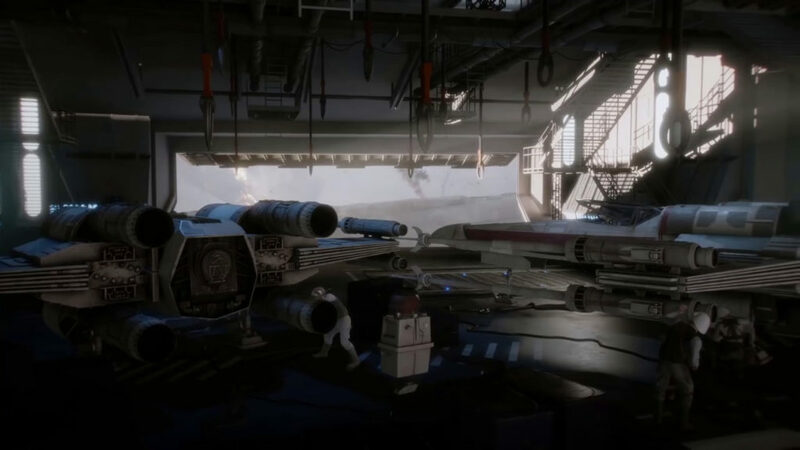 Battlefront II excels at making the galaxy far, far away feel connected. In the shocking epilogue to the main story, we see hints of Del Meeko’s past as a Scarif shoretrooper. Del was a shoretrooper long before the events of Rogue One, as he was pulled away from Scarif to work on Star Destroyers. You can learn more about Del Meeko’s past as a shoretrooper in Christie Golden’s Star Wars Battlefront II: Inferno Squad novel. 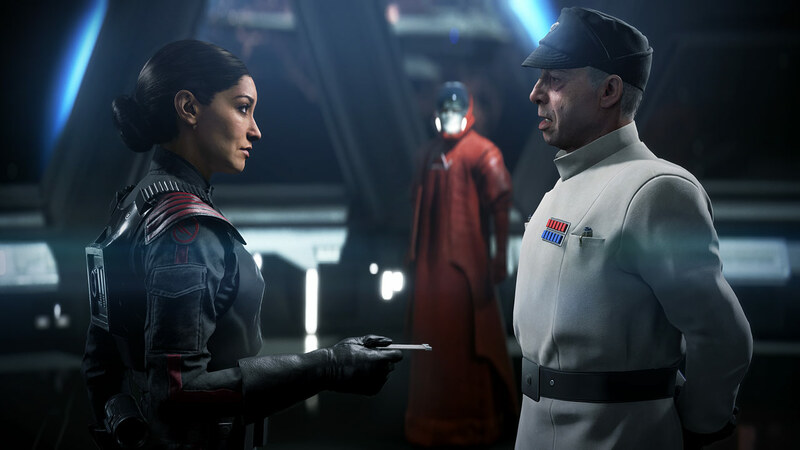 The story of Iden Versio doesn’t end at the epilogue, it continues in Star Wars Battlefront II: Resurrection, December 2017’s update to the game. Iden’s journey leads her to discover the inner workings of Project Resurrection, a First Order stormtrooper recruitment program. 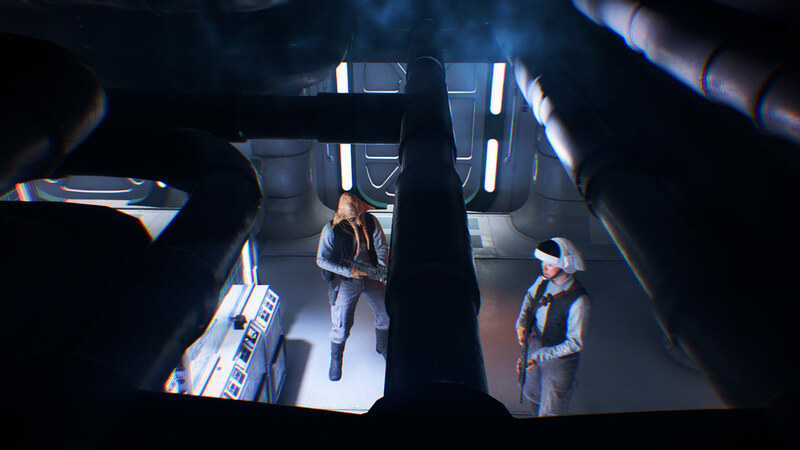 Among the chatter, Iden mentions the Otomok System as a location in which Project Resurrection exists. 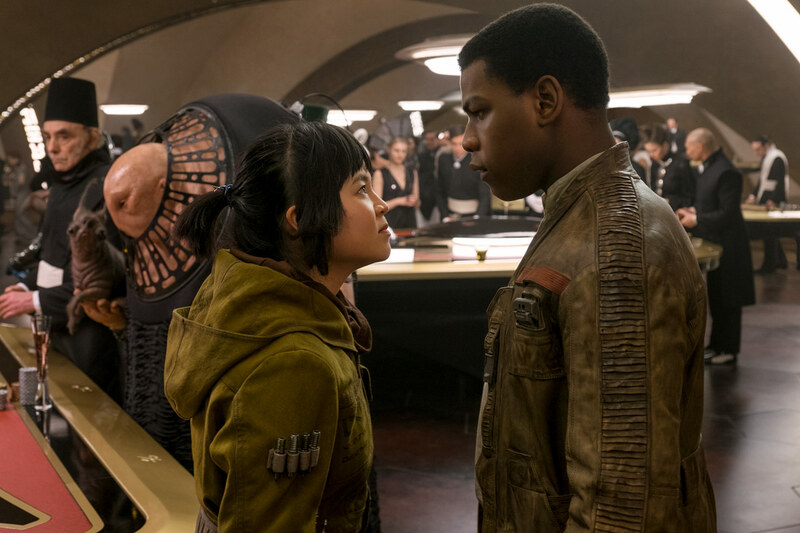 This system is of note, as it is the home system of The Last Jedi’s Rose and Paige Tico. Rose mentions the presence of the First Order on her home world while she traveled through Canto Bight in The Last Jedi. 11. The catalyst for the Dreadnought run. At the end of the Resurrection story, Iden Versio and Zay discover the schematics for a First Order Dreadnought. 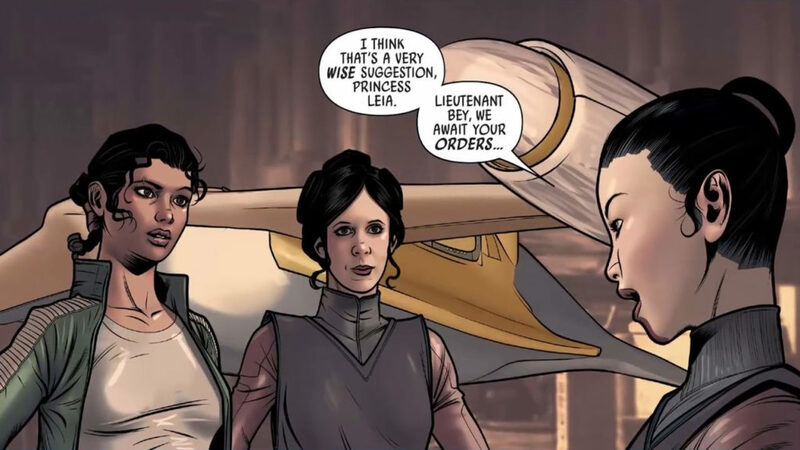 Thanks to Iden, Zay, and Shriv delivering the schematics to General Leia Organa, the Resistance has a new advantage in a possible confrontation with the First Order. From this point, General Organa relays the schematics to Captain Poe Dameron. 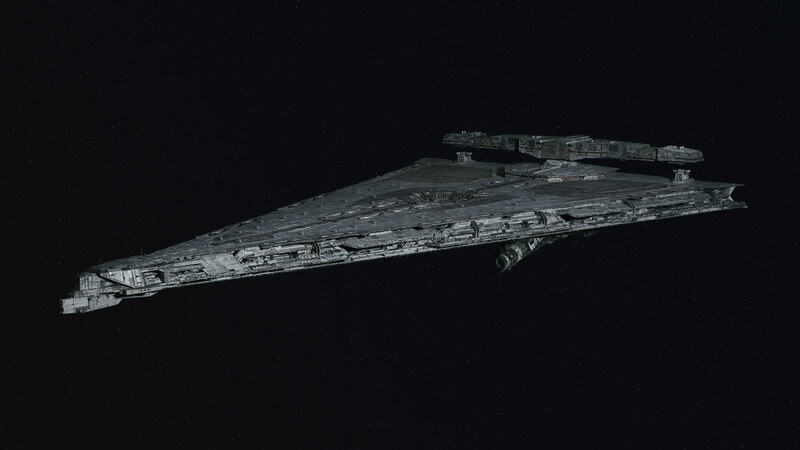 As seen in The Last Jedi, the First Order began an assault on D’Qar that was cut short thanks to Poe’s work in destroying the Dreadnought. It is possible Iden Versio might’ve viewed this as a success, but General Organa would have surely disagreed. What Easter eggs have you spotted? Let us know in the comments below! Tyler Westhause is a contributor to StarWars.com and the founder of the Star Wars Podcast Alliance. He is also an avid gamer and podcaster. Tyler is also always happy to run your ear off about why Star Wars: Knights of the Old Republic is the greatest video game of all time. Follow him on Twitter @twesthause.